Add Skype to the list of products adding Snapchat-like updates this year. At this rate, by the end of 2017 your Texas Instruments calculator will have a “Stories” feature at the top. This isn’t a bad development, though, with Skype announcing a redesign on Thursday that should make it more competitive in a crowded messaging space. The most striking aspect of the update is “Highlights,” a feature similar to Snapchat’s Stories, which let’s you create a “highlight reel of your day” with pictures and videos. Your Skype friends are able to interact and respond with emojis or messages once they’ve seen your Highlights. The redesign also introduces three new facets to messaging: Find, Chat and Capture. Find allows users to search through old conversations, as well as for tickets to a game or a YouTube clip — anything you’d want to add into your message. Chat is its messaging platform with emojis. And Capture is another Snapchat-like feature, where it opens your camera in a conversation and lets you share pics or video. For good measure, you can also add text or stickers to your Capture message. Since Microsoft bought Skype in 2011, it’s been angling to move beyond simply being a platform for calls and video conversations. The market is crowded with the likes of Snapchat, Messenger, and WhatsApp. But the latest Skype update aims to have users consider it as a viable messaging service as well. Sega Dreamcast was supposed to be the top-of-the-line gaming console heading into the 2000s. Instead, it quickly fizzled out thanks to lackluster sales. Sega discontinued the product less than two years after its launch in North America. Oof. Microsoft's answer to the iPod didn't stand a chance. Coming along five years after Apple's revolutionary MP3 player, it was severely behind the eight ball. The Zune looked like a wannabe-iPod, and didn't have the hip commercials or U2 partnerships to go along with it. Microsoft put the Zune out of its misery in 2011. HD DVD was supposed to go head-to-head with Blu-Ray; instead it was knocked out in swift fashion. Toshiba had the most riding on the technology, but abandoned it -- along with the rest of the industry -- in 2008. It's hard to call a company that was sold for nearly $600 million a disaster. But when you consider it had the first-mover advantage on Facebook -- which now has a market cap of $440 billion -- it's not a good look. More than 75 million people used Myspace at its peak in 2008, but it's current visitors pales in comparison to its younger social media sibling. Google has boasted a myriad of excellent products -- YouTube, Gmail, and Google Earth, to name a few. Google Glass wasn't one of them. The only thing worse than the $1,500 price tag was the way the smart glasses looked. Google dropped them in 2015, only two years after rolling them out. The Samsung Galaxy Note 7 was one of the best phones on the market, until it started catching on fire. Nearly 100 "battery episodes" forced Samsung to recall 2.5 million devices in 2016. The FAA wouldn't even let you get on a plane with one after the recall. 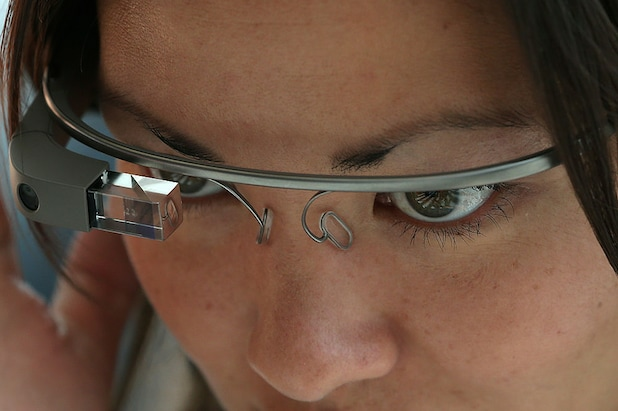 Maybe this whole tech-glasses fad isn't meant to be. Snap's Spectacles were initially met with acclaim, with customers waiting in line for hours from LA to New York to grab a pair. But the excitement seemed to quickly fizzle out, though, with Snap reporting a meager $8 million in sales for its first quarter following its IPO. That's only about one in every 2,600 Snapchat users buying a pair.